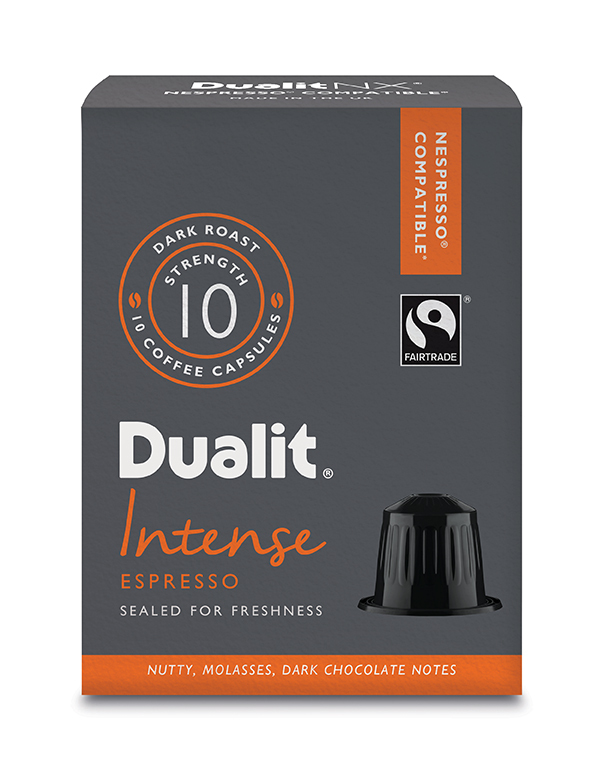 Dualit NX Coffee Capsules are compatible with our Dualit 3 in 1 Espresso Machines and all Nespresso® machines with the exception of VertuoLine. These coffee capsules are individually wrapped and sealed masterpieces of flavor, character and just-roasted taste. (Nespresso trademark is owned by Societe des Produits Nestlé S.A.). Nothing tastes better than fresh roasted coffee. Dualit NX and Nespresso® compatible, the NX Capsule holds only the finest blends. Every NX capsule is an individually wrapped and sealed masterpiece of flavor, character and just-roasted taste. Choose your favorite, unlock the aroma, and enjoy.